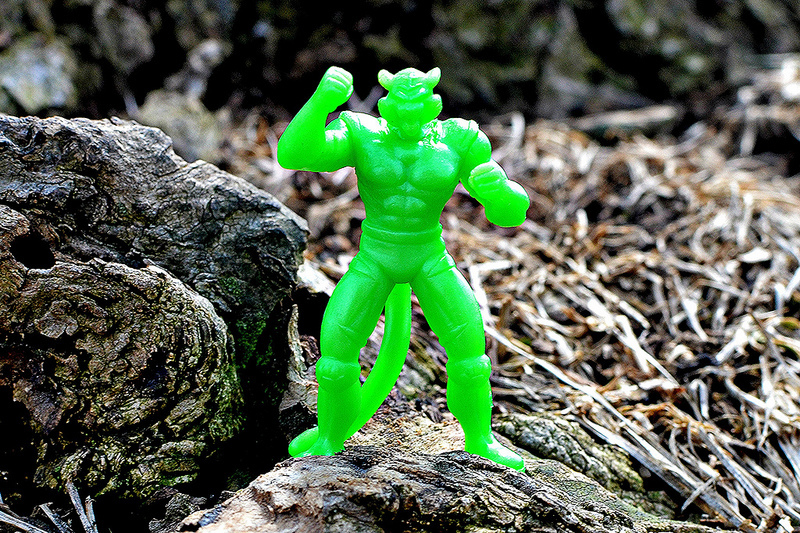 Arriving just in time for St. Patrick's Day, a brilliant new pearlescent neon green color of Mystical Warriors of the Ring PVC mini figures has been unleashed by Fantastic Plastic Toys! 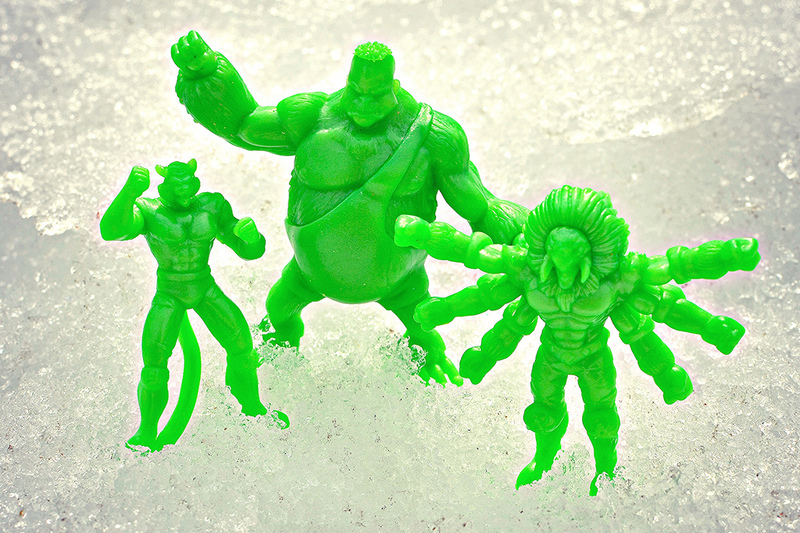 This green is the first new color of MWOTR figures since they debuted in the PVC material late last year with flesh, red, glow-in-the-dark, pearlescent blue, and pearlescent black releases. 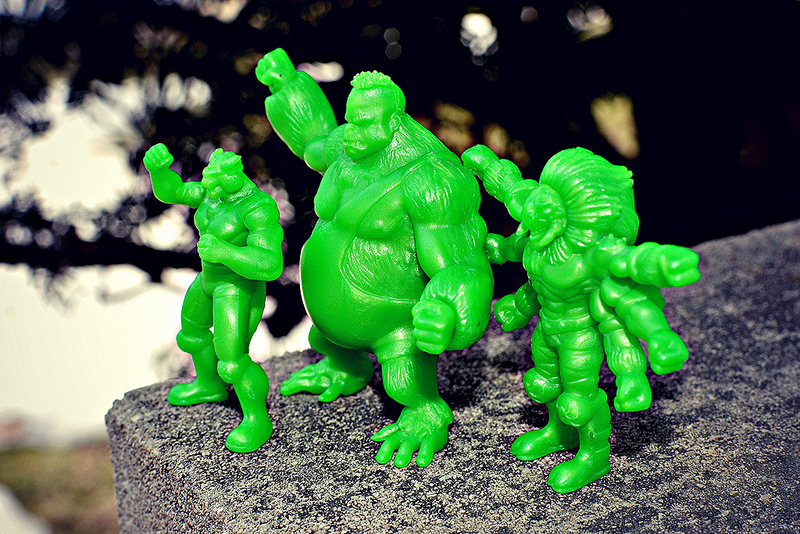 As with those releases, the green set consists of three characters (from left to right in the above photo): Sheldon Sabre, Kayin Kungaa and The Widowmaker. Up until now the pearlescent blue has been my favorite color, but the green gives it a run for its money. It's just so vibrant and really makes the figures jump out no matter where you have them displayed. This is a convention exclusive color. You can find them at the Planet Comicon in Kansas City (from March 14-16) and C2E2 in Chicago (from April 25-27) for $9 per set. They're well worth it, so be sure to pick some up if you're attending one of the conventions, or have a buddy who is going grab you some. 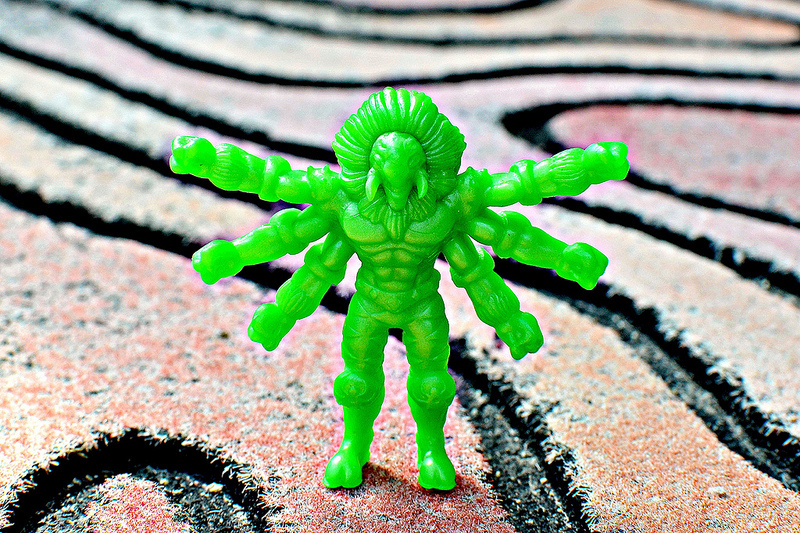 As always, be sure to keep an eye on the MWOTR official site for all updates with the line, and check out a few more photos of the new green figures below. Gorgous pics mate! Nice write up too. Thanks, man! You'll be needing a set from C2E2, right? Great review! What kind of camera do you use? I love the crispness of the detail on your pictures. Thank you! I use a Nikon D3100 for most of my photos.